You’re in a pickle. How do we know? Because you wouldn’t be here if you had everything figured out. What is this particular pickle? It’s obvious. 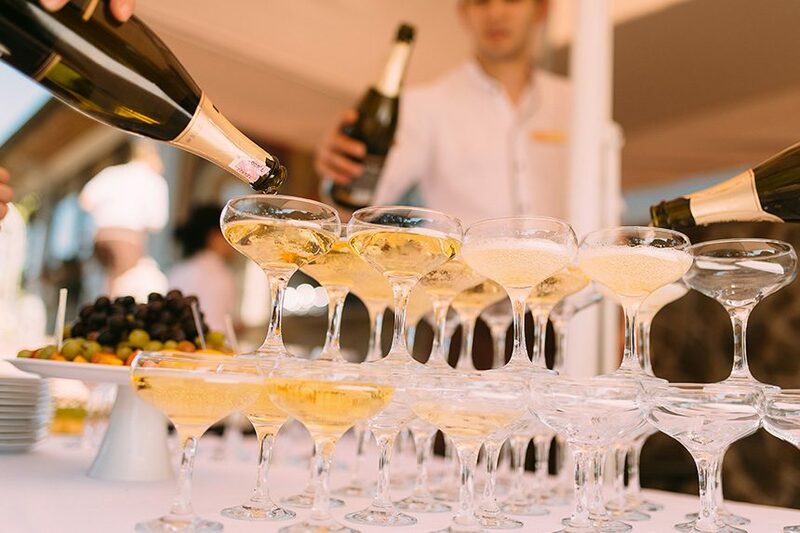 From planning the bridal shower to overseeing all operations including the florist and the fondue fountain – and let’s not forget about that bomb bachelorette party you threw last week – you’ve been so busy being the best maid of honor a bride could ask for, you’ve left your speech until the last minute, haven’t you? Now is not the time to worry. Now is the time to write that speech. 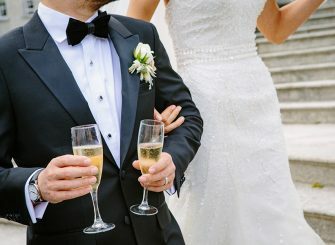 We’ve got some go-to tips for you, bride’s sister from another mister (or same mister, perhaps) to help you charm the wedding couple and all their guests. We’ve all witnessed the horror and humiliation of an ill-prepared speech topped off with an over-abundance of liquid courage. Deliver a drunken speech and your friend may never forgive you, especially if you start talking about her exes. Yes, your speech will be epic, but it shouldn’t be an epic. A good rule of thumb is to keep it around five minutes. The second you start rambling, things get awkward – for everyone. Prepare a definitive closer to your speech. An iconic love quote or a wish for the bride and groom is a sure way to wrap this up with a pretty little bow. Newsflash: today isn’t your day. So, if you’re using too many “I’s” and “me’s”, we’ve got a problem. Really, no one cares that you just graduated from medical school or if you just had a baby. All they need to know is your connection to the bride. Consider it a bonus if anyone even remembers your name. The first time you met her works well; however, if you’re sisters and have known each other your entire lives, any significant or defining anecdote will do, like the time you ate an entire tube of cookie dough and blamed it on her. Sorry sis. Talk about the first time you met him, how nervous he seemed to meet you, her best friend. Or, maybe mention the moment you knew the bride was smitten, like when she’d stay up late into the night texting him or when she started using his catchphrases. Pro Tip: Whenever sharing stories, it’s important to be mindful of your audience. Parents, grandparents, and the pastor are usually in attendance. Never say anything like “finally she met the man of her dreams,” or any phrasing that could imply the bride was on a descent toward spinster-hood, and here’s your second reminder to refrain from mentioning any of the bride’s former beaus – no matter what. The bachelorette party is the perfect time to roast exes. Remember how we said it’s not all about you? It isn’t. Odds are, you had a lot of support from other members of the bridal party. 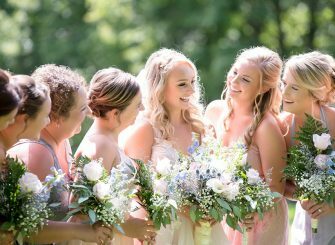 Be sure to acknowledge and thank the other bridesmaids for helping out with wedding preparations and for making the bride’s engagement an even more enjoyable time. You can thank anyone who was exceptionally helpful such as the couple’s relatives, but again, this isn’t the Oscars. Stick to your five minutes. Did someone say… rap battle? If you want to be really creative, set a poppin’ beat and challenge other members of the bridal party to a rap battle. Bridesmaids against groomsmen, Pitch Perfect-style. If you take nothing else of value from this article, remember this one tip: Speak from your heart. This is a great opportunity to tell your bestie how much she means to you. Share an inside joke and tell her how happy you are that she found the one. Are you feeling better? Good. In the end, the most important thing to remember is to be genuine. Years from now, the bride may not remember what you said word for word, but she’ll remember how you made her feel on her special day. 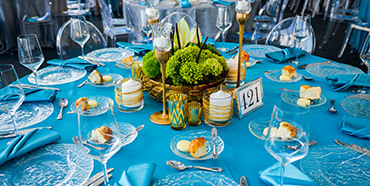 Well Dressed Tables offers complete wedding rentals to help create your dream wedding. Get in touch with us to learn more about our products and services.